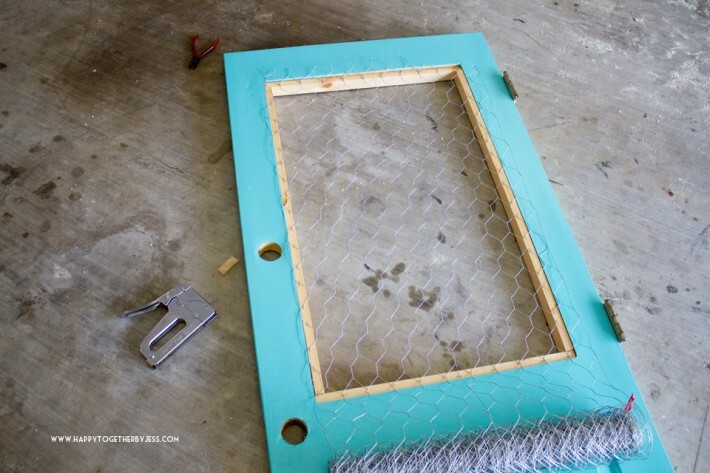 One of my favorite types of DIY are the kind where you take something that might not look of value to many and turn it into something new and useable. So I was super excited when DecoArt challenged me to use their Multi-Surface Acrylics on something that could easily be found at places like flea markets, etc. I had a friend offer me some old doors a few weeks ago and there was one that I knew would be perfect for this project. Look at how beat up this door was! It looks like it should go to the dump, but I saw that there was still some life left in it. 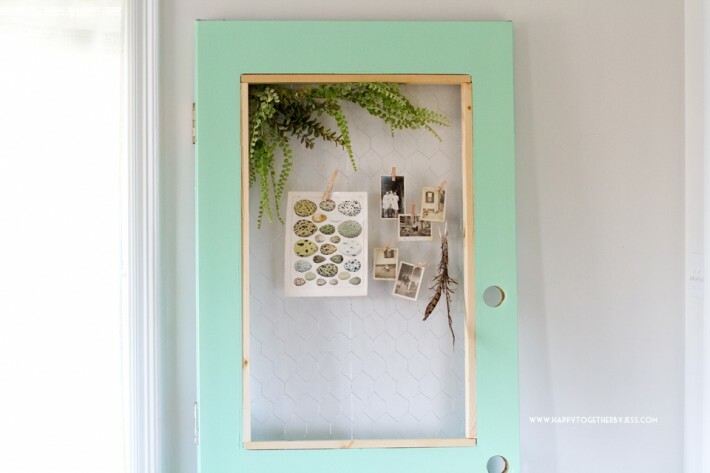 In fact, I plan on using this as a garden door one day. I wiped down the door real good and took off the tape to prepare it for painting. 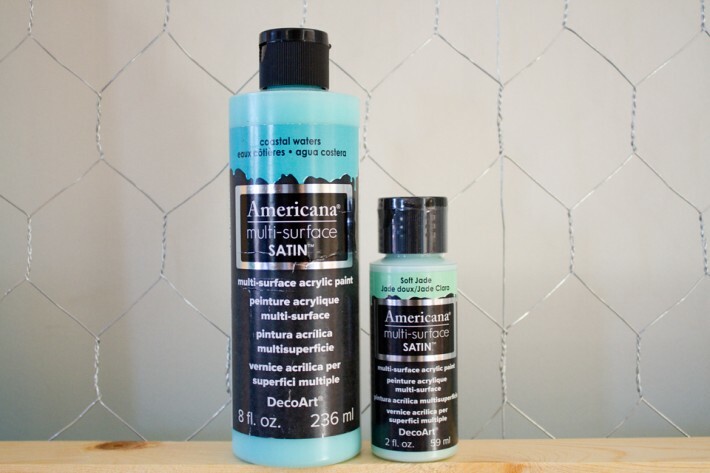 Americana Multi-Surface Satin acrylic paint(s) of choice. I needed almost 6 ounces to coat each side of the door twice. Amount needed will depend on how large your surface is. I chose to paint each side of the door a different color. I used the soft jade on one side and coastal waters on the other. The directions suggest at least two coats of paint, so I did two coats on each side. It has very good coverage. 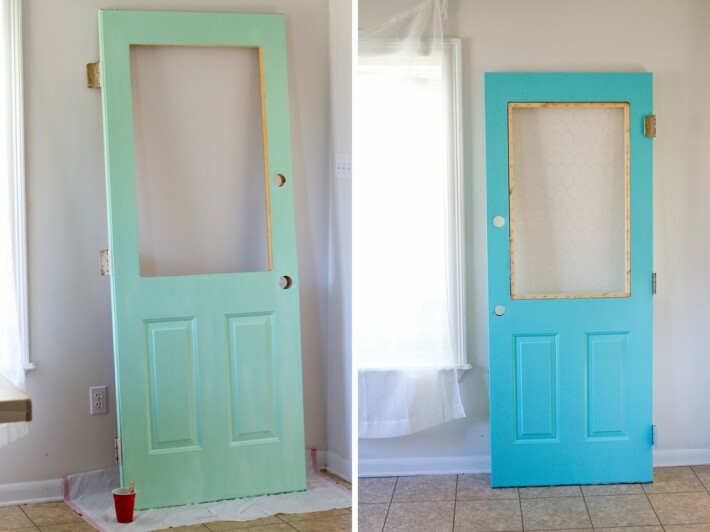 If this was a door that I would actually be using as my front door, I would have done one more coat just to really cover it well. I let it dry overnight. The good thing is this paint is self sealing so there’s no need for primer or separate sealer. And the paint is for indoor and outdoor use. Awesome right? My hubby cut out four pieces of wood that I glued on the inside opening. This door’s middle was foam and I didn’t want that showing. I used a strong glue to glue the wood on and used some clamps to keep them in place while it dried. I let that glue dry overnight as well. Then I stained the wood with a natural stain according to instructions on the can. 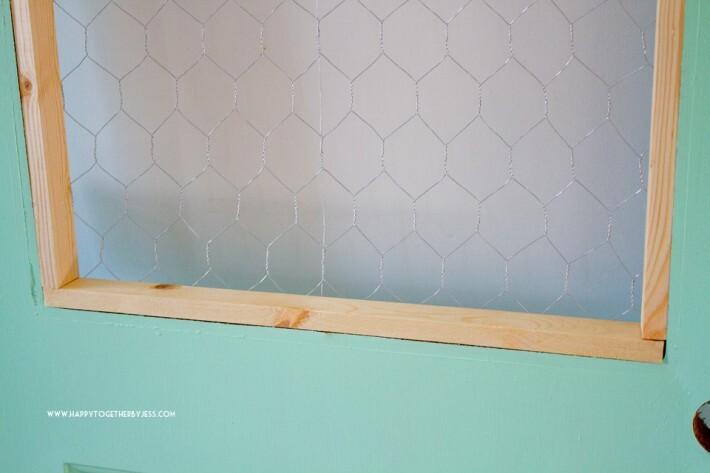 After that dried, I stapled on the chicken wire using a staple gun. Then I used wire cutters to cut off the extra wire. If you want, you can use pliers to twist the ends so they don’t poke out. I’m even thinking of going back and putting thin wood strips all around the back side to completely enclose the wire ends. I love how it turned out! I’m still waiting to find the perfect vintage hardware to go on it (that is also in my price range!). I know that will add to this project even more. Very cute! Check Hobby Lobby for knobs, etc. I got a beautiful handle that looked like glass for my pantry door for about $7.50. Watch for sales or use the 40% off coupon for a great deal!